Two very different days this weekend weatherwise. On Saturday I had been to Akrotiri on the BirdLife Cyprus field trip there. The number of Common Buzzard and Harriers in the area was notable – more than six Common Buzzard, at least four Western Marsh Harrier and two Hen Harrier. I arrived too late to see the Bittern, Eurasian Curlew and Bluethroat at Phassouri but caught up with a couple of Water Pipit there and then several Ferruginous Duck, a female Common Pochard and two female Northern Pintail at Bishop’s Pool. 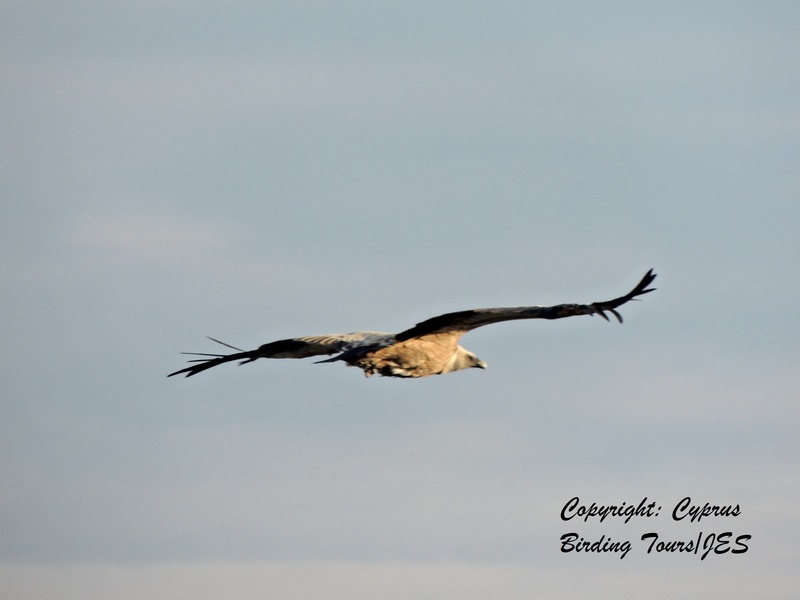 I went to Kensington Cliffs late in the afternoon and enjoyed a fly-pass of two Griffon Vulture who were then joined in the air by a third and a Peregrine Falcon who was vying for attention. The sun shone and the sea was calm. Completely different at Larnaca this morning. Rough sea and strong wind meant three Western Marsh Harriers were seen battling against the wind over the Sewage Works pools being mainly ignored by the hundreds of Northern Shoveler and Common Teal, the Mallard, Common Coot and Little Grebe which were there as usual. The Greylag Goose is still present as are the thirteen Greater White-fronted Geese. In with the other birds I found two Gadwall, five Wigeon and at least twelve Black-necked Grebe: two of which are now acquiring breeding plumage. 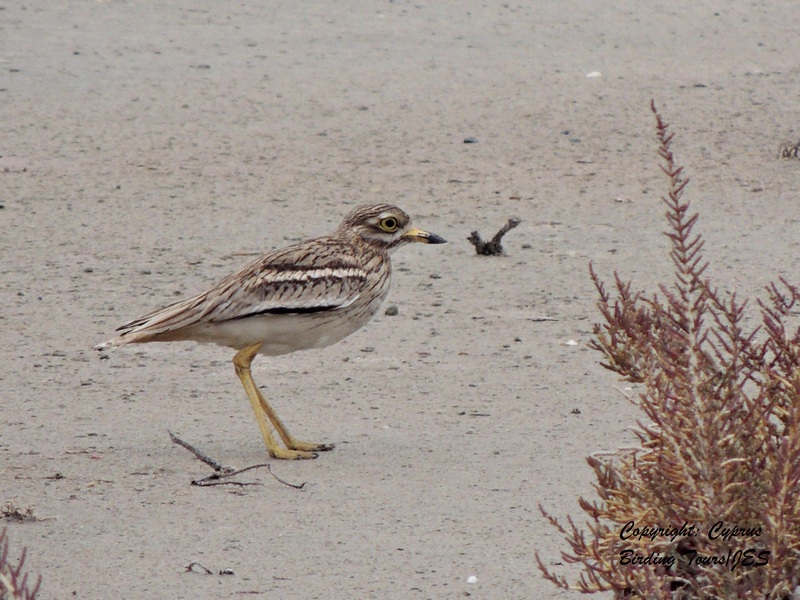 A flock of around a hundred Golden Plover flew over the area and as well as a single Heuglin’s Gull and eight Armenian Gull I also found three Eurasian Stone Curlew on the Airport Pools. Categories: Birding | Tags: Cyprus Birding, Cyprus birds, Cyprus birdwatching, Ferruginous Duck, Larnaca birdwatching, Larnaca Sewage Works | Permalink.